We accept armless chairs as a staple of current dining room furniture, but have you ever thought about why? Dining chairs are necessary furniture in our homes, but rarely get thought about in comparison to flashier, bigger pieces like couches and beds. 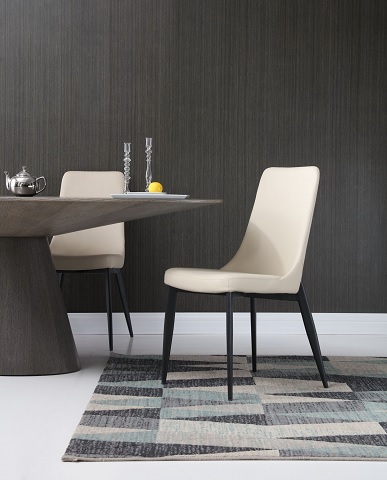 Designers love trying to make the dining chair step up to the plate with bold, eye-catching designs, yet most people I know are still relying on the classic armless, no-nonsense chair. Why is that? Today we explore some reasons why this subtle, specific kind of dining chair has yet to be outmatched at the table. The biggest boon to having an armless dining chair is the convenience it provides. Without arms to get in the way, it’s easy to seat yourself and unseat yourself at a moment’s notice. You may not think that extra few seconds it takes to move the chair around for you makes much of a difference–and maybe in your case you’re right–but quick reflexes and no barrier in the way can save falling dishware without the resulting elbow bruises from crashing your arm into the chair’s arm over and over again. People with mobility issues, whether living in your house or guests to it, also don’t have to struggle around the arms of a dining chair when everyone gets together around the table. If you don’t have a large dining room, armless dining chairs may also be a benefit to have around your dining table for space-saving purposes. As a whole, they’re better to push in underneath the table’s surface when the chairs aren’t in use. This can depend on how tall your table is of course, but unless you have equally tall chairs, the seat of your dining chair should fit securely when pushed in. 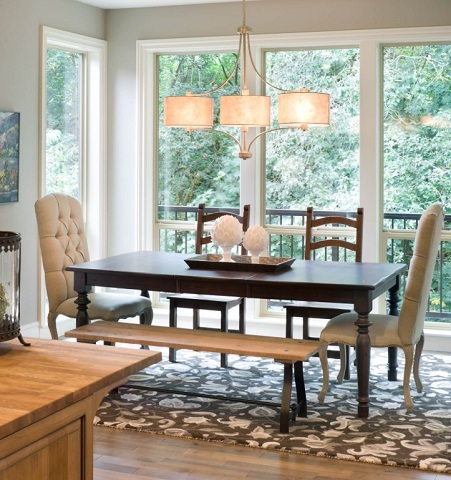 Having the right look for your dining room is important. You may want to reconsider entirely armless chairs for your table if you are trying to create a formal dining atmosphere. Armless chairs have a more casual feel than their armed counterparts, which is great for a family table but not a very formal dining room. Unless you plan to have upscale parties at your home, keeping a dining room full of armless chairs is traditional. A good way to combine casual and formal atmospheres is to have both kinds of chairs at your table. 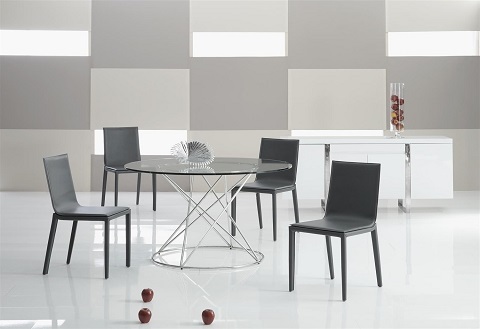 Chairs with arms can go at the ends of a dining table to show importance and frame the table as your room centerpiece. The rest can be armless and your more practical set of chairs. What if you have a round table where you can’t bookend it with armed chairs? In that case, you shouldn’t mix both kinds of chairs but instead pick one and go with it. Round tables can get away with all dining chairs having arms without feeling too formal or taking up as much space than when dealing with a rectangular table. If you want armless chairs, but for larger groups, a dining table bench is also an option. Benches are even more casual than armless dining chairs and should not be used for formal events. You can seat more people on a bench on one side of the table than if you use chairs, which is a great benefit to large gatherings. Ease of getting in and out of sitting on a bench is even better without having to shuffle chairs to make room, at the expense of not being able to customize your distance from the table without affecting everyone else sitting with you. Armless dining chairs are something we take for granted in everyday life, but they do have a few specific perks that you can use to your advantage. This entry was posted in Decorating Ideas and Tips, Dining Room Furniture and Decor, Furnishing Ideas and tagged armless dining chairs, dining chair, dining chairs, dining room.